Many healthcare systems employ population-based risk scores to prospectively identify patients at high risk of poor outcomes, but it is unclear whether single point-in-time scores adequately represent future risk. We sought to identify and characterize latent subgroups of high-risk patients based on risk score trajectories. Observational study of 7289 patients discharged from Veterans Health Administration (VA) hospitals during a 1-week period in November 2012 and categorized in the top 5th percentile of risk for hospitalization. Using VA administrative data, we calculated weekly risk scores using the validated Care Assessment Needs model, reflecting the predicted probability of hospitalization. We applied the non-parametric k-means algorithm to identify latent subgroups of patients based on the trajectory of patients’ hospitalization probability over a 2-year period. We then compared baseline sociodemographic characteristics, comorbidities, health service use, and social instability markers between identified latent subgroups. The best-fitting model identified two subgroups: moderately high and persistently high risk. The moderately high subgroup included 65% of patients and was characterized by moderate subgroup-level hospitalization probability decreasing from 0.22 to 0.10 between weeks 1 and 66, then remaining constant through the study end. The persistently high subgroup, comprising the remaining 35% of patients, had a subgroup-level probability increasing from 0.38 to 0.41 between weeks 1 and 52, and declining to 0.30 at study end. Persistently high-risk patients were older, had higher prevalence of social instability and comorbidities, and used more health services. On average, one third of patients initially identified as high risk stayed at very high risk over a 2-year follow-up period, while risk for the other two thirds decreased to a moderately high level. This suggests that multiple approaches may be needed to address high-risk patient needs longitudinally or intermittently. The online version of this article ( https://doi.org/10.1007/s11606-018-4653-x) contains supplementary material, which is available to authorized users. The authors acknowledge helpful comments from Matthew Maciejewski, Sandeep Vijan, Donna Zulman, Karin Nelson, and Joshua Thorpe. Preliminary findings from this work were presented at the 2017 AcademyHealth Annual Research Meeting on June 26, 2017 in New Orleans, LA and at the 2017 VA HSR&D National Conference on July 19, 2017 in Arlington, VA. This study was funded by the Veterans Health Administration Patient Aligned Care Team Demonstration Laboratory Coordination Center (XVA-61-041). Dr. Wong is supported by VA Health Services Research and Development Career Development Award 13-024. The views expressed in this article are those of the authors and do not necessarily reflect the position or policy of the Department of Veterans Affairs, the University of Washington, the University of California, and the University of Pittsburgh. Dr. Wong reports ownership of common stock in UnitedHealth Group Inc. All other authors have no conflicts of interest to report. Peterson K, Helfand M, Humphrey L, Christensen V, Carson S. Evidence Brief: Effectiveness of Intensive Primary Care Programs. 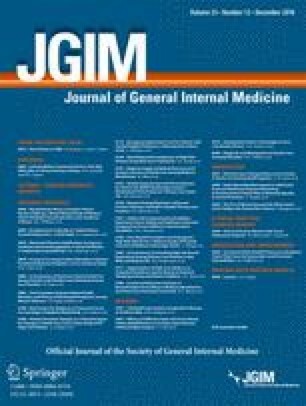 https://www.hsrd.research.va.gov/publications/esp/intensive-primary-care.pdf. Accessed Nov 1, 2017. Department of Veterans Affairs. Home Based Primary Care. https://www.va.gov/geriatrics/docs/Home_Based_Primary_Care.pdf. Accessed Nov 1, 2017. U.S. Department of Veterans Affairs. Improving the Health and Care for Veterans with Cardiovascular Disease. https://www.hsrd.research.va.gov/publications/emerging_evidence/cardiovascular-disease.cfm. Accessed Nov 1, 2017. Prenovost K, Maciejewski ML, Vijan S, et al. Mixture Distribution Item Response Theory As a Method for Identifying Clinically Relevant Subgroups of Patients https://academyhealth.confex.com/academyhealth/2016arm/mediafile/Handout/Paper9891/Prenovost_AHposter_1methods_FINAL_061716.pdf. Accessed Jun 12, 2018. National Committee for Quality Assurance. PCMH Recognition. https://www.ncqa.org/Portals/0/PCMH%20brochure-web.pdf. Accessed Aug 1, 2017.